Yamla Pagla Deewana Phir Se star Kriti Kharbanda takes to pole dancing! Ranveer Singh and Kriti Kharbanda to come together for this reason! 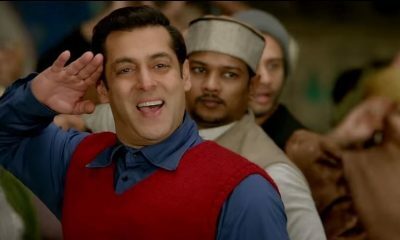 Tubelight and 3 other films that were MAJOR hits on TV! Urvashi Rautela and other stars DAZZLE at the Bombay Times Fashion Week’18! Kriti Kharbanda, who is eagerly anticipating the release of her forthcoming family entertainer, Yamla Pagla Deewana Phir Se, has been learning pole dancing for quite some time now. The talented actress who also features in Sajid Nadiadwala’s multi-starrer sequel, Housefull 4 was quite eager to give pole dancing a shot. “A lot of pain and bruising has got me here. My folks would see my bruises and wonder if I was beaten. But, I love the fact that we don’t keep mats under the pole. This makes us work harder to hold on,” she adds. Well, we wish Kriti the very best for her next! Will Meghan Markle attend Priyanka Chopra & Nick Jonas’ wedding?